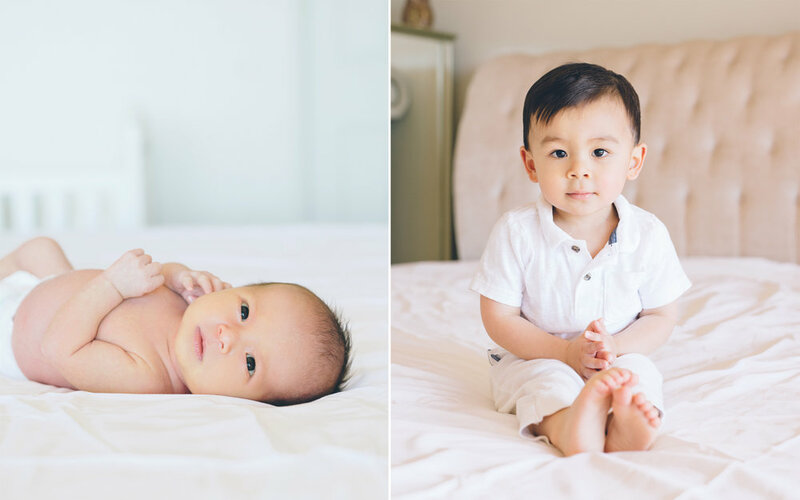 This at-home lifestyle newborn session is quite special to me. 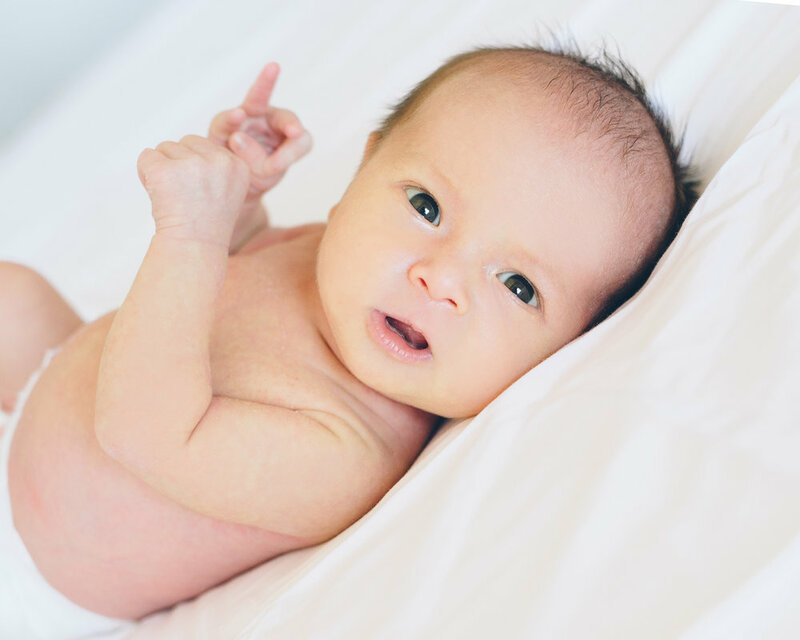 I photographed baby Lucas when he was just a few days old. Now, I got to photograph both Lucas and his brand new baby sister Amelia. Lucas has grown into a sweet little boy and has taken on the big brother role very well. He's so kind, playful, and gentle with his new baby sister, Amelia. Lucas and Amelia already have an amazing sibling bond that will last beyond a lifetime. Lucas and Amelia will have these moments to look back on as they both grow together. The connection between the two is already so beautiful and I am so lucky to have been invited once again to capture these special moments for this sweet family. I must say that this is one of my favorite newborn sessions to date. I love it because it's so simple and natural. The family is wearing white on a white bed-sheet and baby Amelia is only in a diaper. The focus is on the family's faces and nothing else. As viewers we are not distracted, rather we are pulled into the beauty of bringing a new life home. There's nothing quite like bringing a new life that you created into your home. The intimacy of it all is amplified by simplicity. We can realize the simple comforts and simplicity makes us complete at heart. Just surrounded by family, and nothing else. The smiles across everyone's faces just touches the pure fun we had photographing this session. 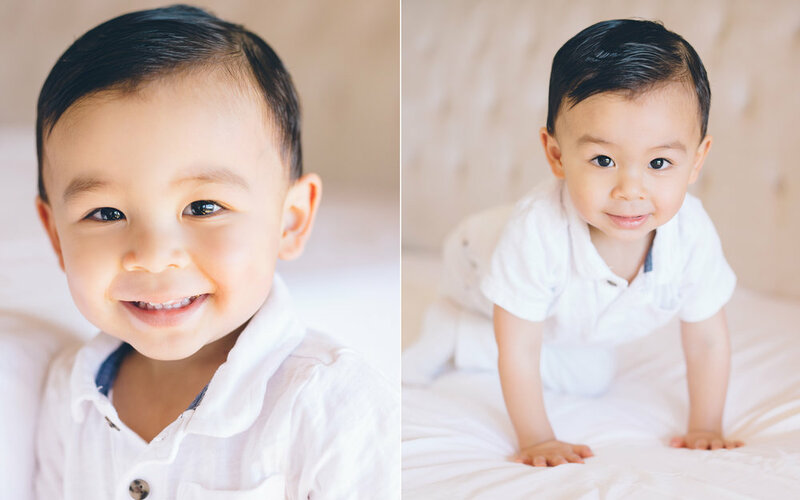 This session was not only beautifully simplistic, it will be timeless to this family for years to come. Beautiful natural light pouring into the master bedroom added to the overall mood of this session and helped create this beautiful warm feeling. This session is the epitome of my style: organic, pure and timeless.